Meet Sheila, she is the kindergarten teacher at our Mexico campus. In 2004, when she was just four years old, Sheila and her siblings joined our family care program! Twelve years later, in 2016, she came back to volunteer in the program for a few months. Sheila wanted to create the same fun and safe environment that she and her siblings experienced when she was young! After volunteering, Sheila decided to join our team and now has 25 students in her kindergarten class! Each day she is teaching them basic skills and leading them into encounters with the Father’s love, in the same place she first encountered God as a child! If you would like to donate school or art supplies for their class, please contact us using the information below. On March 31st our church is officially launching in Romania! Our team and a few families from the community have been gathering for the past ten months now. We can’t wait to open our doors to the beautiful city of Sighișoara! Since we first began gathering with the core team, we have seen each of them fully take on the concept of family. Last month, we announced that we would be hosting a family work day to begin preparations for launch Sunday. We were overwhelmed when almost 60 women, men and children of all ages arrived to work together! We are believing that this was just a small glimpse of what God is going to do in our city through this new outlet. Eleven months ago, when he was just 15 years old, we welcomed Norlan into our boys home in Nicaragua and The Mission family. Since then, he has experienced the confidence and security that comes from being a part of a family for the very first time. In January, he began to experience personal breakthrough in worship and his relationship with the Lord. Soon after, he was given the opportunity to attend a YWAM school for two weeks in the capital city of Managua. He worked hard to raise the money to attend and the Lord was so faithful to provide. God met Norlan throughout the two week school and each encounter brought healing to his heart. Norlan shares the testimonies of what God did in him, during the school, everywhere he goes! We are incredibly privileged to be able to love and help guide Norlan, along with the other boys in our home. This month in Mexico, we were beyond excited to welcome two new groups of siblings into our family! All of the kids were brought to us by social services because their basic needs were not being provided. Each one of them are full of life and we are so looking forward to experiencing their individual gifts and personalities! Please partner with us by covering them in prayer during this time of transition. Their arrival truly was an answer to prayer! Matilda, who has been in the orphanage for a few months, experienced the faithfulness of God the day that the new kids arrived. Before coming to The Mission, Matilda was best friends with Maria Guadalupe (pictured). They were placed in a social services holding center before arriving with us. Matilda had been praying for friendship and a sense of family here at The Mission and was completely overjoyed when Maria arrived! Matilda and Maria have encountered the love of a Father who knows the desires of their hearts, completely. 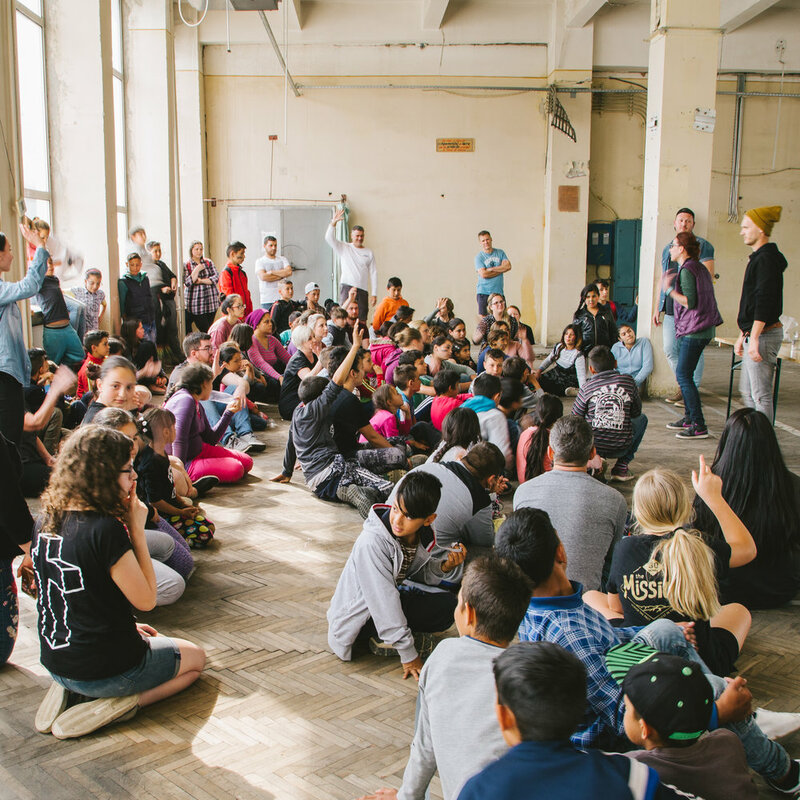 During the after school program in Romania, our team felt led teach the kids how to encounter God wherever they are. Most of the kids in the program are hearing and learning about God for the very first time during their time with us. One of our greatest privileges is teaching them that they each have access to their loving Father, everywhere they go! During the prayer led encounter, our team was so encouraged to see the amount of peace that filled the kids’ faces. Each of them were so filled with His presence and we are excited to see the testimonies that come from this, as they take His presence back to their families. Priscilla is four years old and the youngest in her family. Due to malnourishment caused by the severe poverty her family was living in, Priscilla spent over six months in a re-nutrition center. Since returning from the center, Priscilla has joined our feeding program with her two older sisters and many cousins! Doris, Priscilla’s mother, reached out to our team for prayer because Priscilla was hospitalized with pneumonia. Our team prayed with Doris and went to visit Priscilla in the hospital later that day. By the time they got there, Priscilla was already seeing major improvement! Soon after the visit we received word that Priscilla was out of danger and home with her family! We are rejoicing not only because Priscilla was healed, but because her mother reached out for prayer in a time of need. It is a complete joy to work towards seeing transformation and healing within the entire family. Our team is filled with hope for this family and the many others we interact with each day! Kiko (Jesus Alberto) arrived in 2013, when he was just five years old. He and his two siblings were placed in the orphanage because of an abusive home life. Because of that, they did not trust people and were not taught to value education. For the past five years our community has had the privilege of fighting for love and family for Kiko and his siblings. Now, Kiko loves to serve wherever he goes! At school he is always the first to arrive so he can assist his teacher. Kiko is an influencer of peace and loves learning new things. Stories like this are beautiful reminders of why we do what we do. We live and breathe to rescue, love and restore the orphan! 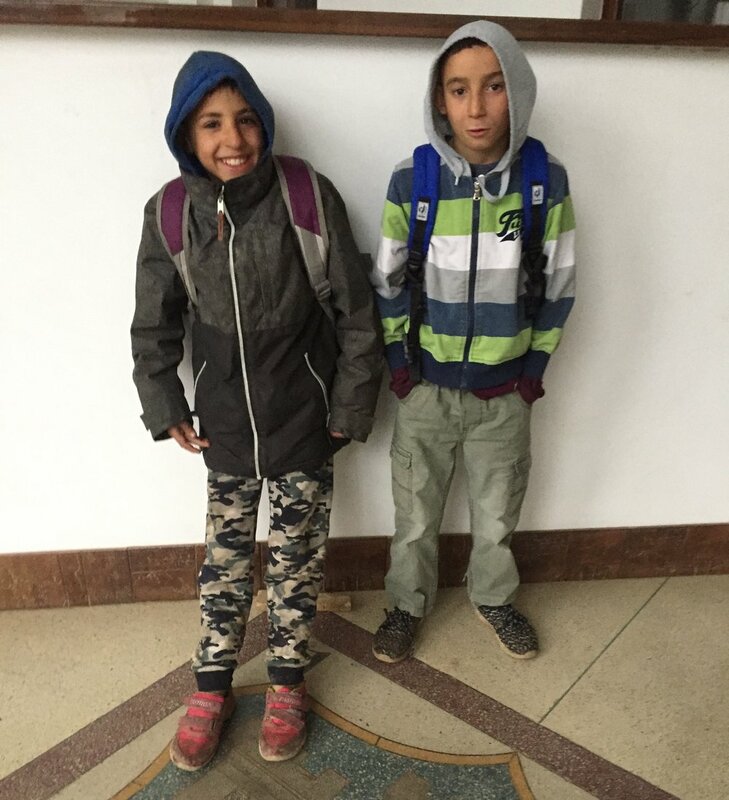 Gabriel and Ciprian are both 10 years old and have been in our after school program for the last six months. They both experience neglect in their home lives; getting very little supervision, affection or encouragement from their families. Along with our family care program, our team works with families to get their children enrolled in public school. Even though these boys are above the normal age bracket, we enrolled them in kindergarten. Since then, the teacher has told us that Ciprian is her best student and that, despite his many medical issues and underdevelopment, Gabriel is learning to read and write! We will continue to work with the family and guide these young boys as they grow. They both have a bright future and we are so honored to be able to play a part in it! 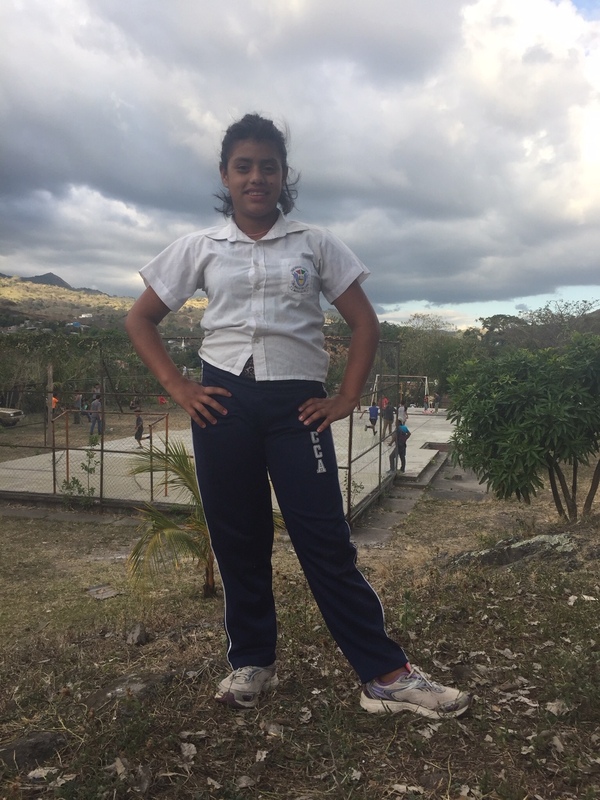 Milagros is 13 years old and considers our feeding program her second home. She has consistently participated since we first introduced the program to the community in Matagalpa. Since knowing Milagros we’ve seen her grow behaviorally and in so many other ways. She was afraid to speak in public and often had difficulty communicating her needs. We are honored to walk alongside Milagros and support her as she grows and takes challenges head on! Now, she is intentionally conquering her fear of speaking in public. So much so that she often volunteers to pray for the food during the program. Some of our most rewarding moments are seeing her during worship; weightless and carefree before God. Our heart is to not only help with the basic physical needs but to create a safe place where we teach children how to walk in confidence with their Father. December 2018 - Merry Christmas & Happy New Year! We hope your Thanksgiving was wonderful and you are eagerly awaiting Christmas, as we are! We look forward, with great anticipation, to the Christmas Eve tamale dinner, talent show, piñatas and presents! The Family Care Program has been running for almost a complete year now. Early on in the program our team quickly saw that there was also a need for education. As a result, last month we opened our first kindergarten class! The class currently has 11 children all from the Albesti Village. The Albesti Village is a small village where you’ll find about 300 people living without electricity, gas or running water. Their only source of water is a small stream that runs through it’s valley which is mostly contaminated by livestock and garbage. In this village, there are roughly 150 children and less than 10% of those children manage to make it through school each year. The children in our school are picked up from their homes each morning; they are bathed, given uniforms, fed breakfast and then participate in our school program. They are excited each day as they learn new things and are loved on by our team. We have received an incredible response from the community and are already coming up with plans to be able to accommodate many more children! Our team has been amazed by how much the presence of structure helps kids find safety and confidence. We have seen behavior changes and kids who have never participated before find their voices. During one of our weekly lessons, a little girl started singing a song about sitting at His feet in response to the lesson that was being taught. Her song encouraged all of the other children and ended up leading the whole group into a time of worship! It was such a beautiful moment to see them really capture the heart of what was being taught! Aldair Salvador Valenzuela Moran is twelve years old and has been part of our Family Care Program in Tijuana, Mexico for seven years! His parents have also been on staff with us for several years as well. A few weeks ago, Aldair accompanied his mom on one of our outreach programs in one of the surrounding communities. As they served together, he began experiencing God’s love for those around him! Aldair was forever marked by that night as he witnessed people receiving Jesus as their Savior. Now, Aldair volunteers at outreach every Tuesday and has a hunger to see people encounter Jesus and know that they have a loving Father. In Tijuana, Mexico we have education programs from preschool through high school, a Family Care program for after school hours, as well as a school of ministry. We recently began a new trimester which means the campus is full of growth and new life! In the surrounding communities it is not unusual for teenagers to dropout of school before completing jr high or high school to help contribute to the families finances or care for their younger siblings. The accessibility of our education programs alongside our Family Care program, allow us to help children of all ages complete their education. This year, we are beyond excited to have eight of our high school graduates beginning their first trimester in the School of Missions! It is a privilege to pour into, encourage and equip kids who would normally not be able to complete their education. Please pray for all of our students, that they would continue to grow, learn and experience His presence everyday. In Romania our team is seeing incredible testimonies come from the daily time of worship and devotions with the children in the Family Care program! From the very beginning, the children loved these times of worship because they love music and dancing. Our team quickly realized that although the children were enjoying themselves, they were not fully aware of the power of their worship. Through the intentionality of the team, we have seen the children fully take on this mantle of worship. Each day they are being filled with His presence and encountering the Father’s love! Recently, three different boys, each from a different group, shared that they had seen a beautiful, yellow angel during worship. It is our joy and privilege to help usher them into encounters of love with their heavenly Father and teach them to listen to His voice. 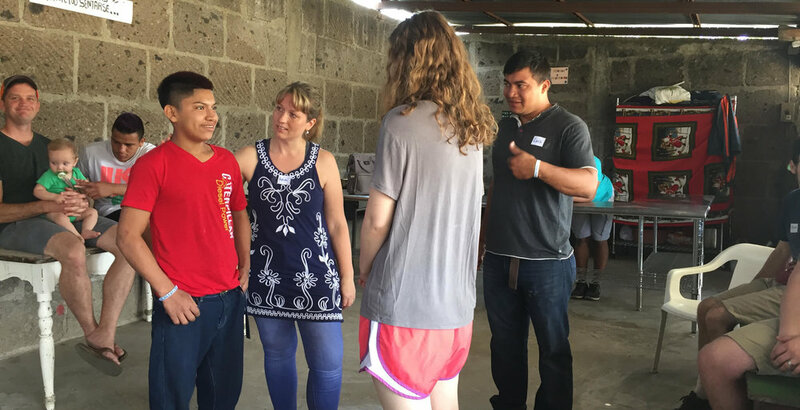 This month in Nicaragua at the outreach feeding program, our team shared on the power of prayer with the children. In this program you will find children and young adults that live on the streets and most are addicted to drugs. After teaching about prayer, our team asked if any of them wanted to be prayed for specifically. Howard, a twenty-year old that has been on the streets since he was a child, quickly raised his hand. The team and the other youth laid hands on Howard while he wept as we shared our Father’s heart for him. Later that day, he completely opened up with our team! We are blessed to be able to continue loving, praying and connecting with him since! Please continue to pray that our team experiences more breakthrough in building relationship with the people of this beautiful nation. Each fall the RDSN Mexico base of The Mission welcomes students and families from across east Tijuana to experience a new approach to education, an education that is committed to developing the whole child; body, mind and spirit. 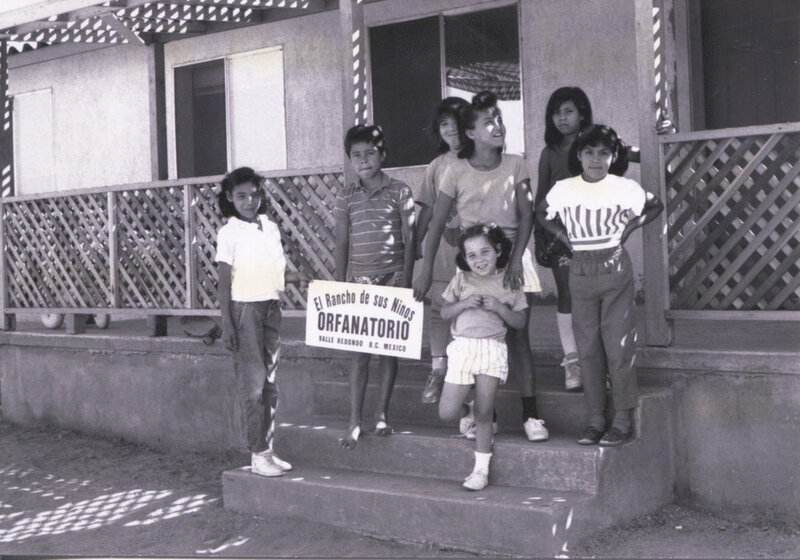 Our founders, Steve and Cathy Horner, began this program because they saw a need in the surrounding colonias. There were many families who had two working parents; which would often mean that the children would be left home unattended during the day and would not go to school. Through our Family Care Program and schools, we are able to help keep families together, all while providing an excellent education, two meals a day and transportation to and from their homes. 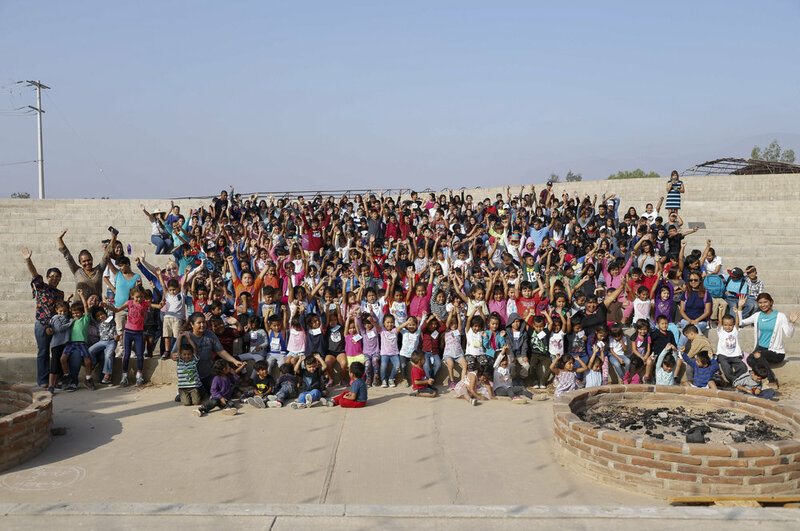 This month we began a new trimester with over 350 children enrolled in our different programs! Please join us this school year by praying that our teachers would be filled with love, creativity and wisdom and that each child experiences the love of God as they learn. Our feeding program in Romania serves children from many different villages and areas of the city. This is actually quite unusual in their culture; as most of the locals tend to not be very welcoming towards the Gypsy villages that surround their city or even towards immigrants that live in town. A few members of our team were in the city center when they ran into Princess. She is a young girl from Albești, one of the Gypsy villages just outside of town where our team does outreach every Wednesday. Princess was there with her mother, begging for money, in the town center. With permission from her mother, our team took the opportunity to take Princess out for a good meal! We were so blessed with the opportunity to love her in this way. The kindness that the staff at the restaurant showed by helping us translate, and even playing music for her to dance to, just shows that the walls that have been separating the people of this beautiful nation will not be standing for long! As we receive more and more students to our education programs on each of our bases, we are in search of partners who would like to join our effort by helping provide for our constant growing list of school supplies. Feel like doing even more? For a more extensive list of needs visit themissioninc.org/back2school. This summer, we have hosted over 1,200 people from all over the world. We are overwhelmed by the love and generosity that was poured out by all those who have served alongside us! In July, for the Jesus Culture Missions Experience, we had the privilege of teaching, equipping and activating over 400 participants with tools to bring heaven to earth. 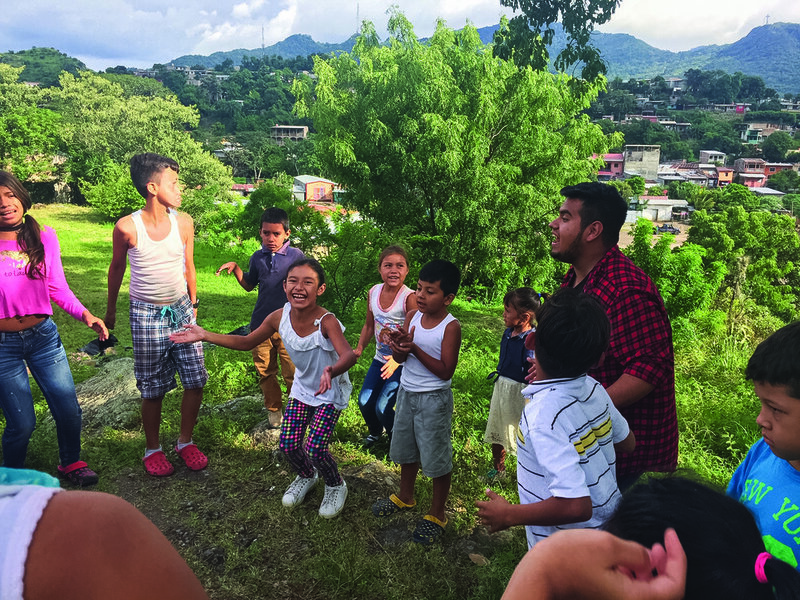 Jorge, a JCME participant from Tijuana, felt the Holy Spirit lead him to a specific home during the outreach track and knew that he was supposed to pray for healing for someone living there. As he began talking to the woman who lived there, she shared that one of their relatives was in the hospital in Sonora, Mexico and was not doing very well. 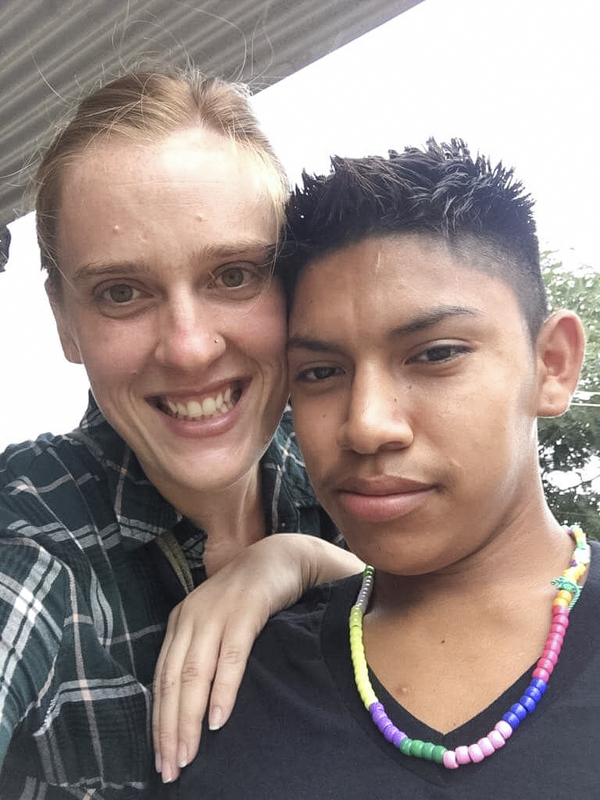 Jorge prayed for her relative over the phone and later on that afternoon, as they were about to leave the community, the woman excitedly ran up to Jorge! She was overjoyed to share that her relative had been completely healed and the doctors were sending him home! Each summer we host a VBS program for the children in our orphanage, family care program and local communities. This program creates a safe place for children when they aren’t in school and is especially helpful to the families who have two working parents! We feed, care for, and have fun with the kids five days a week! It is an honor to not only create a fun summer for them but to also set aside time each day to usher them into encounters with the Lord. This year we have been blessed with fifteen summer interns! They are doing everything from facilitating VBS to lifeguarding. If you are interested in applying for our summer internship program next year, you can read more at themissioninc.org. At 15 years old, Norlan was unable to live with his family due to emotional abuse. 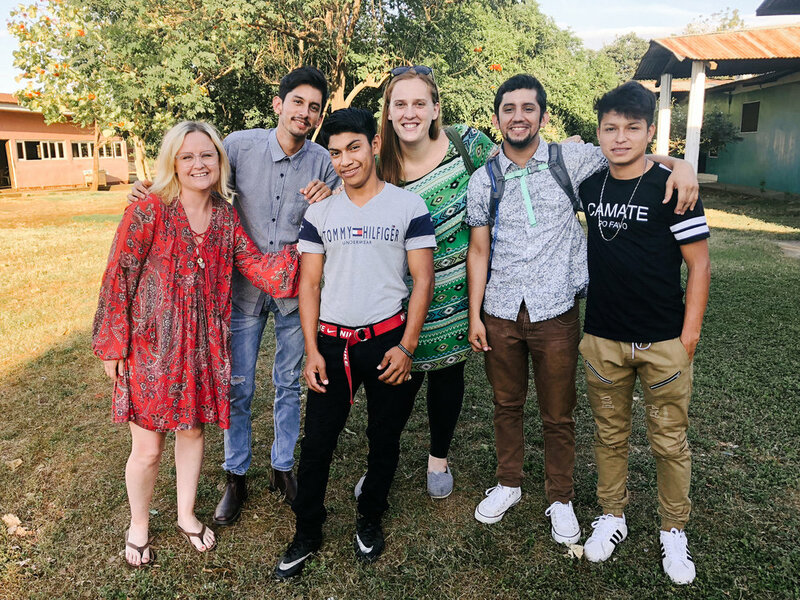 Upon learning his story, we welcomed Norlan into our home for at risk youth in Matagalpa, Nicaragua. Since joining our family in March of 2018, he has flourished! He was enrolled in school for the first time in his life and has developed close bonds with our staff and the other boys living in the home. Norlan continues to surprise us with his love of others, selflessness and personal growth. We are amazed at how far he has come and are excited to see where God will lead him! Meet Adi and Gabriel. Both of them are enrolled in our family care program and both are excellent examples of the love of Jesus! Adi, is nine years old and lives in a nearby village with his single mom, twin brother and little sister. Their mother works long hours in order to provide for their family and oftentimes, Adi and his siblings are cared for by their grandmother. Gabriel, who is also nine years old, lives with his eight siblings and both of his parents. Gabriel’s parents struggle to meet their large family’s day to day needs. 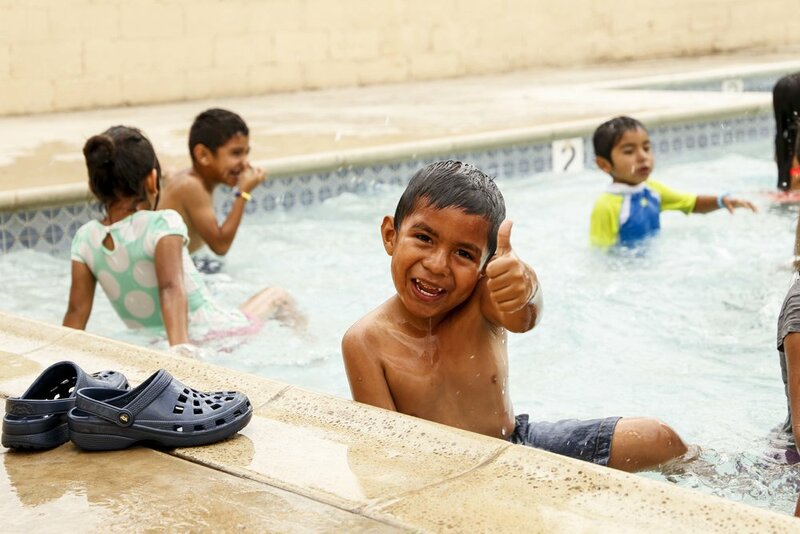 During one of our Family Care Program activities, Adi noticed that Gabriel didn’t have shoes. The very next day, Adi brought a pair of his own shoes to give to Gabriel! The joy that Adi had as he gave his shoes to Gabriel was evident and the joy that Gabriel had as he received his very own pair of shoes was beautiful! As we continue to teach our children that the solution to the needs surrounding them resides within them, our hope is that they take what they learn back to their homes and families! Adi and Gabriel have done just that and we are so proud. In May 2014, a family of 3 was brought to us from Child Protective Services (DIF) due to serious abuse and neglect. Bruno, who was 2 years old, was on 7 different kinds of medications. One of those medications specifically treated him for the seizures he was having multiple times a day. When the family arrived, Bruno couldn’t walk, talk or feed himself like a two year old normally would be able to. His muscles were so underdeveloped we had to use a stroller or carry him everywhere. After a year of intensive care and love, he was removed from all medication and was beginning to walk, talk and feed himself! A few years later, in January of 2017, we received notification from DIF that Bruno and his siblings would be returning to their biological family and to our surprise, the following Christmas of 2017, we were asked by DIF to take Bruno and his siblings once again. After almost a year away from us we are happy to report that Bruno is still running, jumping, playing and bringing joy to all those who know him! We are so encouraged by all that the Lord has done in Bruno and are so excited to see what’s in store for him and his siblings! There is movement and growth in Romania! God is so faithful. 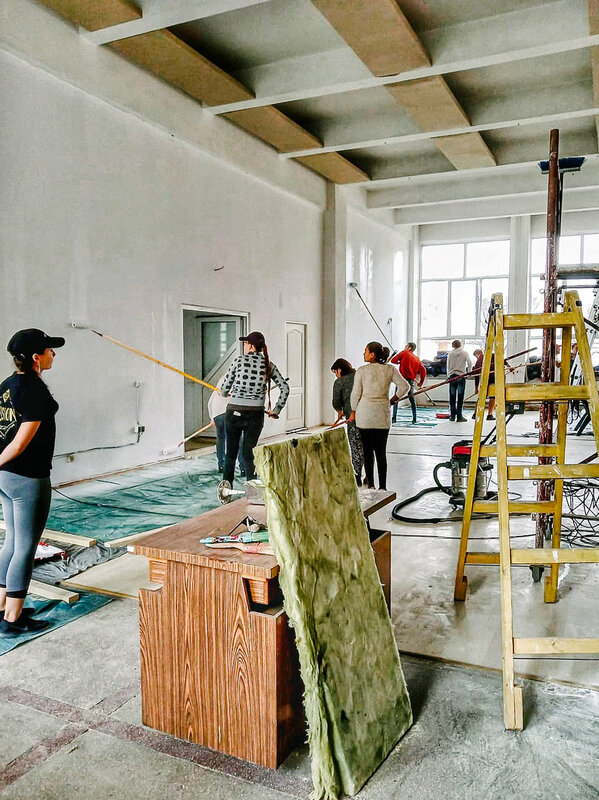 We have had great progress on the remodeling of our building from several visiting groups from England, the US and our church from our Mexico base. We have cleared out the first floor of our building and where we held our very first church service on April 22nd! 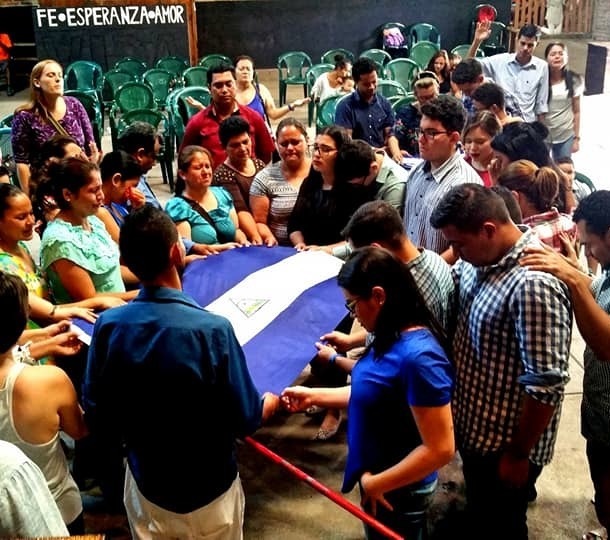 God is moving in a fresh way in Nicaragua! For two weeks we were blessed by a visiting group from Redding, CA. They poured into us, served us and taught us all new ways to talk with God. On one specific day, the team sat with the boys from our children’s home and taught them about the languages of the spirit and how to hear God’s voice. One of the boys, Yilber, volunteered to practice and began prophesying over his house dad, Junior. It was so incredible to watch Yilber step so naturally into the prophetic and to see him grow in confidence and connection with Papa God! We are so excited to see the fruit that is being produced in the lives of these boys as they continue to soak up all the goodness that God has for them. Our Family Care Program, in Romania, is a place where our team gets to guide children in a time of encountering God, as well as care for them practically. We provide a safe place, where they get to just be kids, feed them and also set aside time for academic tutoring. In January we moved our Family Care program into one of our local gypsy villages. We have seen a lot of favor in this village, allowing us to make great relationships and have seen many miracles within the families there. Now that the program is there, we have seen a significant impact on the children of this village and we are so excited to see the testimonies that are coming from this! We get to introduce them to God’s love, our love, fill their bellies, and give them a hand up on skills that will help them succeed in life. 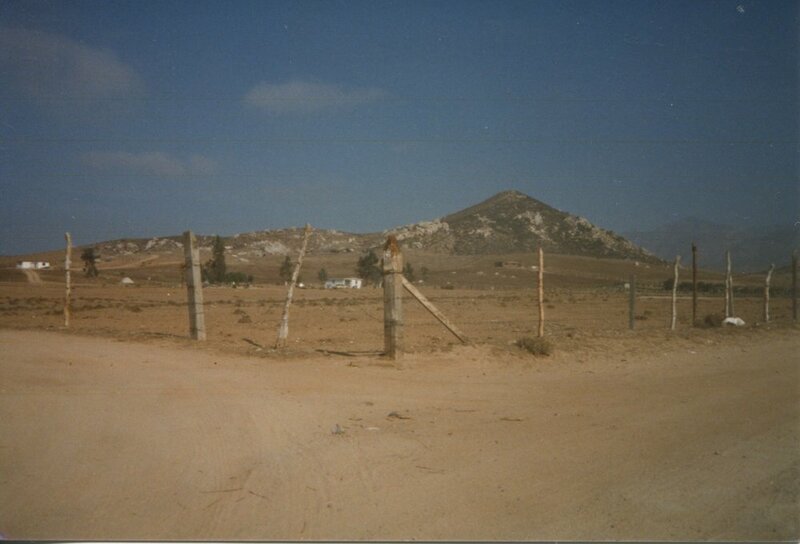 If you have been to our Mexico base, you have experienced “1st, 2nd and 3rd John” (the outhouses). We are so happy to announce that our new bathrooms are done! With the completion of the first two stages of our water treatment system, we were able to open our beautiful new bathrooms! We started the bathroom project’s foundation in July of 2016, during one of our Jesus Culture Missions Experiences. Throughout the last few years, by the help of visiting groups, the rest of the building was finished. Thank you to all who contributed to this project! This is Victor; he was addicted to drugs and street life. Instead of going home to his family, he spent his days and nights on the streets in dangerous neighborhoods. Victor came into our program at the age of 15, where he was provided a safe and stable home to grow in and to be loved unconditionally. He has worked hard to change his life. 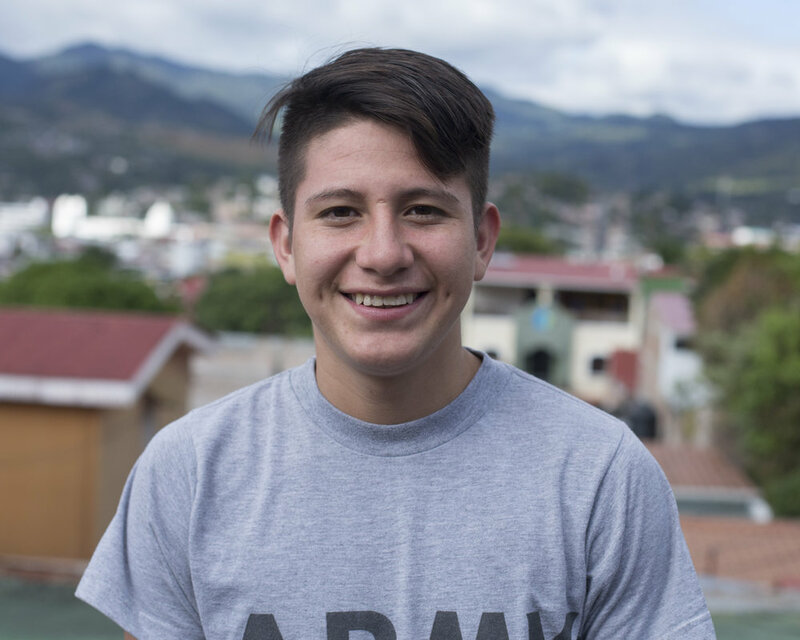 Now, Victor loves to study and dreams of running his own business one day. Victor is currently in high school and is attending a trade school on weekends where he is learning to cut hair. We share stories like these because they are not only the fruit of our labor, and testimony of God’s faithfulness, but yours too! These are your victories and testimonies. Thank you so much for continuing to partner with us. On February 16, 2018, we celebrated the past 30 years of ministry. We were amazed by the amount of friends and family that came along side us and celebrated. We literally had people from all around the world join us! They came from the United Kingdom, Romania, Nicaragua, Canada, Mexico and the United States. We celebrated with an intimate time of worship, testimonies from Steve and Cathy, a time of honoring the past and a dedication to the next 30 years of ministry to the nations. We live and breathe to rescue the orphan, love the broken and bring healing and hope to those who are lost. We are dedicated to demonstrating that every person on this earth has a Father who loves them and is waiting for them. Through this, families, cities, and nations will be transformed. We are steadfast in our fight to restore true family, and we dedicate the next 30 years to the Father’s promise of bringing His kingdom to earth. In the last 30 years, over 5,000 children have been rescued, housed, fed, educated, loved and brought into family and we are fighting for exponential growth. We are excited to announce that, over the next 12 months, we are stepping out into a new season of faith. Our goal as a family, and ministry, is to raise 1 million dollars over the next twelve months and sow into the next 30 years. The proceeds that are raised over this next year, will fund the expansion and growth of our new campuses in Romania and Nicaragua. The Lord has, without fail, met every need we have faced over the past 30 years and our hearts are full of anticipation as we step into this exciting season of faith. So many of you have faithfully partnered with us since we began in 1987. We are filled with hope, like never before, as we ask you to partner with us once again as we honor our past by investing in our future. We are excited to share with you that we are now able to accept cryptocurrency donations. We are accepting Bitcoin and Ethereum donations through our website. Click the button below and you will be directed to our donations page where you will be able to choose which cryptocurrency you would like to give. Some time ago, Maximiliano (5yrs), Jonathan (14yrs) and their mom, Maribel, heard of our family care program through a friend. Maribel was in need of safe childcare for her two kids so she could work full time and keep her small family together. In November 2017, Maribel received bad news from relatives stating that two of her nephews had been picked up by child protective services and custody was removed from their parents because of severe neglect. 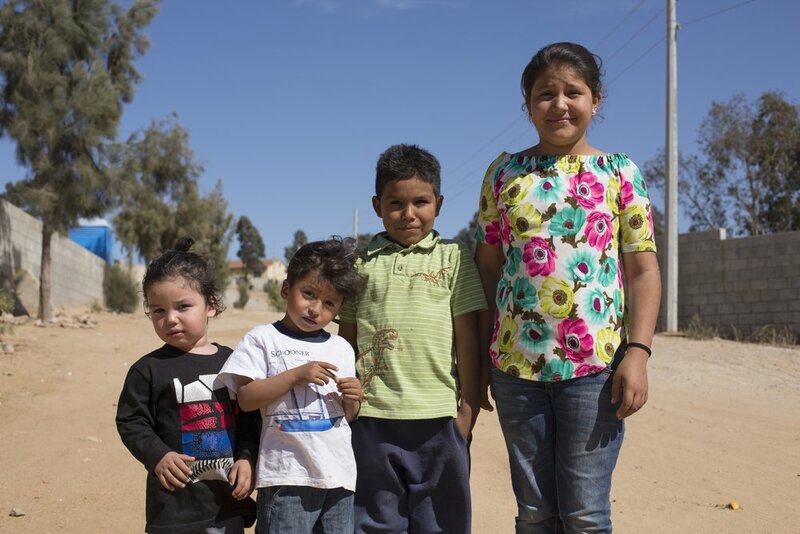 Maribel remained hopeful for her nephews situation and began praying for the opportunity to take them into her home. She fervently pursued a way to gain custody of the boys. Maribel received the favor she’d been seeking and was granted custody of both boys, which is highly unusual in our social services department; Maribel is a single mom of two and living off of one income. The social worker assigned to the case told Maribel that she was granted custody because she had lined up safe childcare, with us, for her nephews ahead of time. In the beginning of January we were introduced to Ivan (8yrs) and Adrian (9yrs) on their first day entering our family care program. Our family care has made it possible for these boys to not see the inside of an orphanage and to be introduced to our Heavenly Father. After 2 years of working with street boys in Matagalpa, we have begun to take steps towards phase 2 of our program; prevention. To determine the needs of at risk children and to feed hungry bellies, we started a feeding program in November, 2017. We currently feed about 100 children daily and this community is fast becoming a small church as we teach the children about The Father who loves them. In the next 2 months we will be assessing needs and then launching programs to keep children in school, in healthy social settings and off the streets. Margarita found a lump in one of her breasts about a year ago and had a doctor exam it. It grew large enough to become physically uncomfortable and caused her pain. A few members of our team were ministering in the community near her home and were led to her to pray. As they prayed Margarita began to feel heat in her chest and the pain in her breast faded away! A few days later, she went back to her doctor where they took a scan of the tumor and confirmed that it had shrunk considerably! In 1987, The Mission was founded out of an act of obedience, a simple yet firm step of faith. It was born out of a desire to see a nation transformed, one child a time. Steve and Cathy Horner were convinced that the Lord was asking them to care for abused and abandoned children. After moving their family to Mexico from the San Francisco Bay area, the Horner’s continued to say yes to every need that was highlighted to them. Because of their consistent and strong yes to the Lord, The Mission’s vision has grown to include orphan and family care, schools from Pre-K through High School, church plants, School of Missions, community outreach and feeding programs. After leading for 22 years, in 2009 Steve and Cathy passed the leadership of the ministry to their son and daughter in-law, Jimmy and Genea Horner. Jimmy and Genea have a rich inheritance filled with faith and hope. They are firmly planted in the heart and original mandate of the ministry; which lies in the simplicity of following Jesus by simply saying yes to what need is highlighted. Because of this, they have passionately pursued growth and expanded the vision to include multiple bases across three different nations. The more we expand as a ministry, the more we have begun to understand that we’re citizens of heaven who genuinely own the nations. Wherever we set foot, becomes His. We don’t feel like we’ve been sent to a foreign land; we feel like we’ve been sent to our land, to His land. As a ministry and family, we live and breathe to rescue the orphan, love the broken, and bring healing and hope to those who are lost. We are passionately pursuing the restoration of true family, which has always been the promise of His kingdom. The names on this page are just a few of the 5,000 children who we have rescued, housed, fed, loved and brought into our family over the past 30 years. We are incredibly excited to announce that we are stepping out into a new season of faith. Our goal as a family, and ministry, is to raise 1 million dollars over the next twelve months. The proceeds that are raised over this next year, will fund the expansion and growth of our new campuses in Romania and Nicaragua. The Lord has, without fail, met every need we have faced over the past 30 years and our hearts are full of anticipation as we step into this exciting season of faith. So many of you have faithfully partnered with us since we began in 1987. We are filled with hope, like never before, as we ask you to partner with us once again as we honor our past by investing in our future. December 2017 - Merry Christmas & Happy New Year! In the last 3 months we have seen the Lord moving in new ways on the hearts of our teenage boys. During prayer for our Mexico campus we felt the Lord say, “I am giving you sons.” Although we were not entirely sure what that meant, we began praying daily for the young men in our environment. It has been so beautiful to see this promise of breakthrough unfold! One teenage boy in particular, José Maria, who had struggled for years in school, has recently made major improvements in his reading and writing. Many had written him off as unable to learn, but because of his breakthrough, he is beginning to get back on track with the rest of his class! Over the past several months, we have seen our boys begin to seek out and pursue fathers and mothers who would teach them what it means, and looks like, to truly be sons. The boys have come alive in new ways and we consider it an honor to love them unto complete healing. We are deeply in love with the nation of Nicaragua and its people. And we are happy to announce that we have just opened a feeding program, in the heart of Matagalpa, for children in the community there. Our goal is to strengthen families of at-risk children by providing them with basic necessities as well as a safe and loving environment. This feeding program will allow us a glimpse into the lives of hungry, at-risk children, while enabling us to identify the needs of the families and to learn how we can be a part of their restoration. We are passionately pursuing the establishment of strong family units within the community. Through this, we will help see that children are in school, loved and supported, and off the streets. Construction has begun! Our team has just hosted their first missions group and is currently working on the construction of staff housing. It was such an impactful time for both our team and the group from California. They were up early for morning devotions, worked all day and even took time to have fun with the kids in our after school program. This group of guys has been partnering with us and bringing teams to serve in Mexico for over 28 years. It was an honor to join with the same friends who helped build our Mexico base as we work towards building our new base in Romania! Being a single mom, the family care program has played a key part in keeping her family together. We are so grateful for the opportunity to love people well through this program. Eleven-year-old Nohemi and her three siblings (ages: 8, 5 and 2) are one of many new families that we have welcomed into the program. We met Gilber through our feeding program for homeless youth. He was forced to live on the streets from a young age and had become an icon in the community as a leader among the local street boys who numbed their pain by huffing glue. After a few months of experiencing the love from our team he asked for help. He has been in our boys home for two years, clean and sober, and is now leading people to Jesus. Gilber is a constant reminder of what a life transformed by the love of God looks like. For the last year our prayer going into Romania has been, “Lord, open doors and bring invitations from the city”. We picked a start date for our family care center of January 1, 2018 not knowing exactly where to start, only that we were to love and care for families. In the last week of July we received a phone call from the principal of the main public elementary school in our city. He explained that he had been following the purchase of our building and looked up who we were and what we have been doing in Mexico. He then invited us to begin family care with the children of the public school system throughout Sighișoara. He explained that the kids need additional tutoring, food, and something constructive to do in the afternoons, but that he doesn't have the resources to make that happen. With the open door to minister to the kids within the public school system we began September 19th with fifty children. We are beyond thankful for this incredible open door and invitation! Christmas will be upon us before we know it. 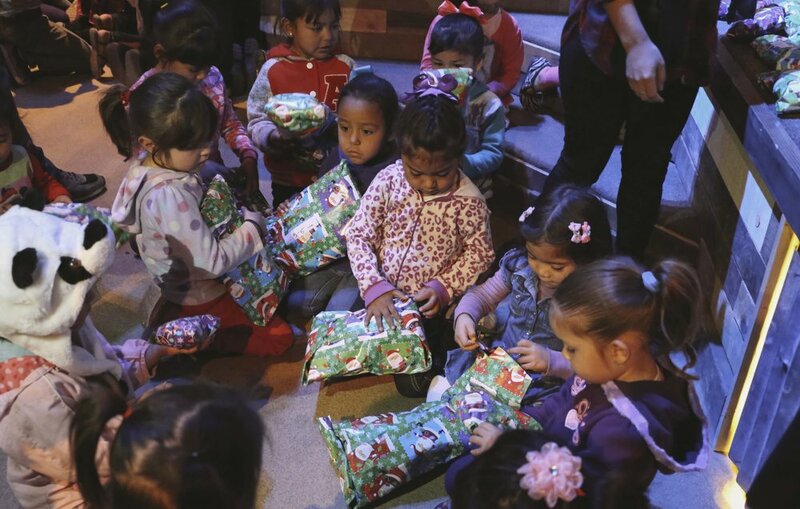 If you would like to help us make this Christmas unforgettable one for our kids, please contact us at: info@themissioninc.org or 619.661.9232. As we expanded from Mexico to other nations we needed a name that united each base in one heart and purpose. Our new name is now “the Mission” and “RDSN” is now the name of our Mexico base. Each new base will come under the Mission and join us in bringing the kingdom of heaven to earth through family; rescuing the orphan, loving the broken and bringing healing and hope to those who are lost! When Jesus heard the news that John the baptist had been murdered he took a boat to the other side of the lake to get away from the crowds and grieve the loss of a family member, but the crowds chased him down. The word “saw” here doesn't mean that he simply saw the people with his naked eye, but that He perceived or became aware of their need. In response to what He saw, He became the solution. We have come to believe that this is the very heartbeat of missions. Nearly thirty years ago I was sitting on the living room floor of the very first orphanage house, with 20 other kids, listening to my Dad read us Matthew 28. None of us kids understood why he began laughing out loud when he read “Go into all the world…..”. My dad quickly explained that the Lord had asked them to move to Mexico and take care of His kids and it had struck him as he was reading that he needed to get the transformation that was happening in our lives outside of the four walls Rancho de Sus Niños. He took the rest of the morning to teach us to share how Jesus had impacted our lives. That afternoon he loaded us all up in a bus and drove to the Tijuana dump where the poorest of our city worked and lived. He opened the doors and told us to go in groups of two or three and to simply introduce people to Jesus through our stories. Scared, nervous and a little embarrassed we spread out across the dump in small groups and began to share how real Jesus is. After praying with a man who gave his life to Jesus our group ran back to the bus beyond excited! The other kids came back shortly with similar stories of people who met Jesus for the first time. We loaded back up with a sense of celebration and a little bit of pride! We started to drive out of the dump when my Dad stopped the bus turned around looking back towards the dump and said, “Now what?” That was a significant moment in the history of this ministry. The vision that was sparked by a word from the Lord had now exploded through the simplicity of seeing a need. It was in that dump that we planted our first church and built our first school. Since that day in the dump, nearly thirty years ago, the Lord has been highlighting needs to us and moving us toward them. Over and over again we have seen Him show up in miraculous ways, bringing His salvation, healing and deliverance. Ever since He highlighted Europe and Central America we have felt the need for a name that would better express the ministry as a whole as well as bring some clarity to all who have been partnering with us for so long. In response, we are now “the Mission” with three different bases around the world - RDSN/Mexico, Misiune/Romania and Mision/Nicaragua with more to come. We hope this not only brings clarity but increases excitement for what God is doing through the Mission and all of you who have helped make what’s happening possible.